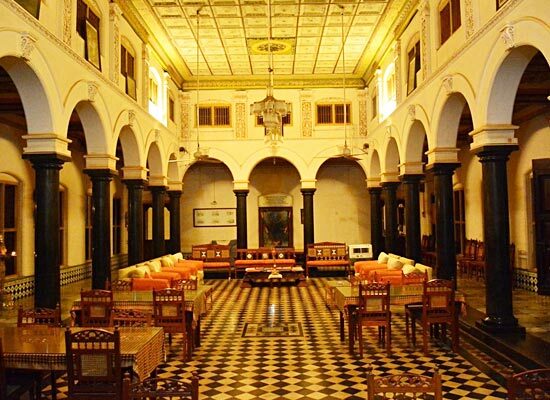 "The heritage hotel in Tamil Nadu, Chettinadu mansion promises two things: Reflection of history and luxurious stay. The hotel is especially idealized for its immensely gorgeous architectural patterns. The huge mansion spreads for over 40000 sq. feet and is very elegant and sophisticated. The hotel staff aims to provide a true Chettinad experience to every guest so that one could have a memorable time in the state. 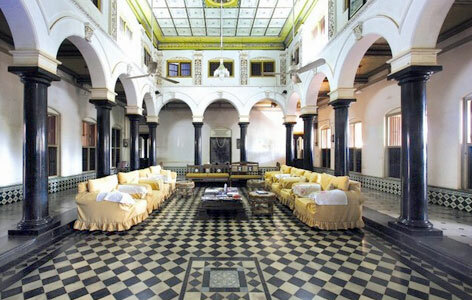 This heritage property was constructed in 1902 by the local inhabitants called as Chettiars. It was constructed just across Raja's Palace. The total area covered by Chettinadu Mansion was 80000 sq ft originally. The owner of the mansion left behind several family heirlooms and photographs which were preserved by a sixth generation granddaughter after several years of hard-work and dedication. There are a total of 12 guest rooms in the mansion. 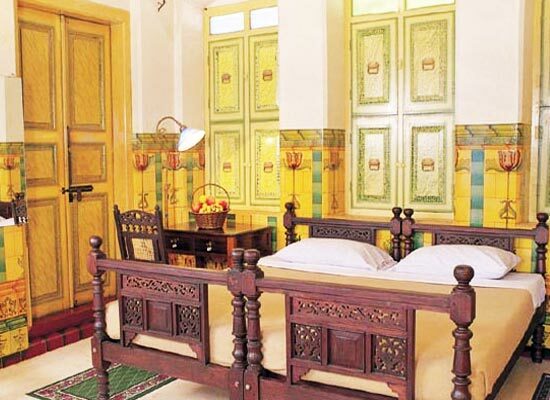 All the rooms are designed according to ancient architectural patterns of 1900s. All the rooms are very spacious and thus one enjoys a stay in here. 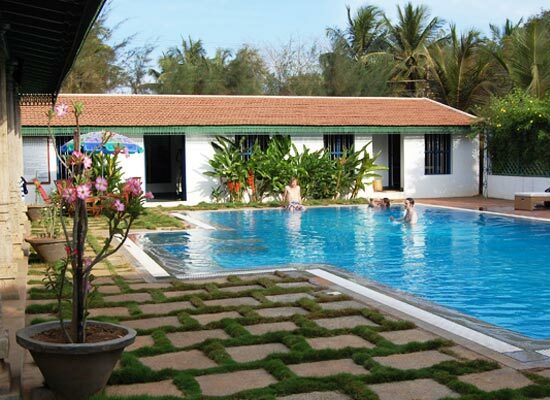 The bathroom facilities in the rooms are very clean and tidy and properly maintained. With numerous amenities and services available in the rooms, they are a perfect choice for having a good sleep. 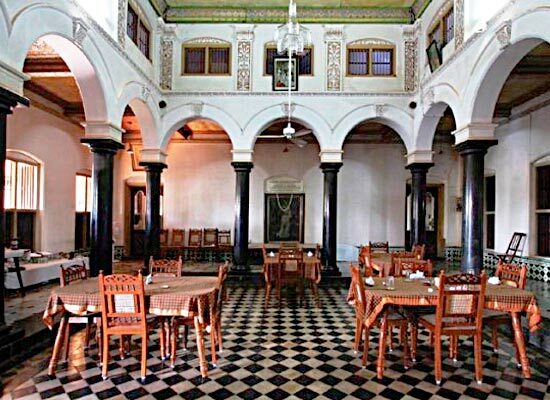 In the heritage hotel, there are two dining halls namely Bhojana Halls. In both of them, tourists are served delicious Chettinad cuisines. This cuisine is famous all over the world for its originality and exoticness. The food contains mostly flavored spices and chilly spices are generally avoided. Varied types of rice are also an integral part of Chettinad cuisines. In the hotel, the food is often served to guests on big plantain leaves. 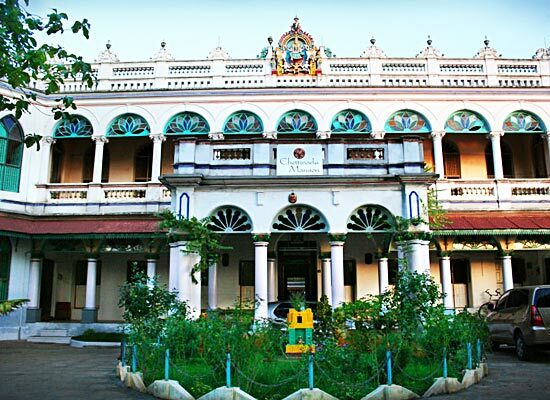 The historical city of Chettinad is located in the district of Sivaganga of Indian state of Tamil Nadu. The city during the earlier times existed as the home of Nattukottai Chettiars (Nagarathar). The community was well known all over for having a well-established business all across the country. The city is known for its delicious cuisines, glorious architecture and holy temples. The people of Chettinad are believed to be master chefs and the food cooked by them is definitely the most spiciest and aromatic throughout the country. Major dishes include Veg Chettinad, freshly caught seafood and Chicken Chettinad.